Propane lanterns are much different than their solar-powered and incandescent counterparts. These lanterns, also known as gas or oil lanterns, have been around much longer than the other lanterns and can be seen at campfires and outdoor gatherings around the world. 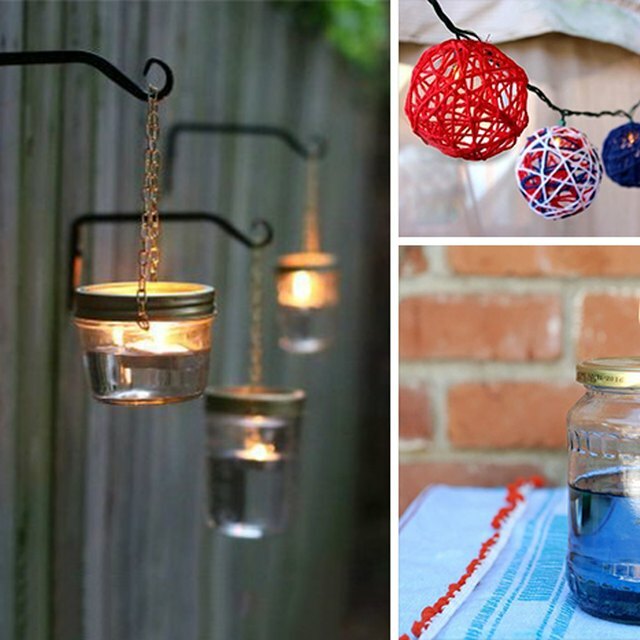 The propane lantern is used in a different way and provides a different kind of light. Learn how a propane lantern functions before using one to illuminate your campsite or guide you in the dark. Propane lanterns are an option for when you need light but are without electricity. A propane lantern will not work without propane. Fortunately, a propane lantern is easy to fill and refill. While some lamps require kerosene or other fuels, propane is the most common type of fuel used in commercial lanterns. If you are using a propane lantern, you must fill its fuel reservoir so that the lamp can burn as long as possible. This tank works with the lantern's mantle to provide a bright burning light. The mantle is a fiber piece added to the lantern. It often is a mesh piece made of silk or hemp that is attached next to the spot where propane is emitted. The fiber is boosted with salt and burns after the wick is lighted. Similar to an incandescent light bulb, this piece glows with light after a flame is put to the fuel. Cerium in the salt supplies light after the lantern is turned on and until the propane in the lantern's tank runs out and the mesh no longer is lighted. A wick on the lantern is positioned where it can drive heat from its end to the propane outlet. This allows the mesh to be heated and provide light. The lantern must only be lit once to get light glowing. The wick will continue to illuminate until it is blown out, the fuel runs out or the lantern's switch is turned off. After the lantern is turned on, the tank supplies propane to the wick. The wick is lit and fire runs from the propane to the mesh. This produces the light that will burn until the lantern is turned off. You can do this by blowing out the mesh, turning the lantern off or emptying propane from the tank. How do I Make Electricity From Dried Leaves?